I am currently planning an easter afternoon tea for my family, complete with chocolate nests made by my youngest sister, hot cross buns, and easter cupcakes made by myself. 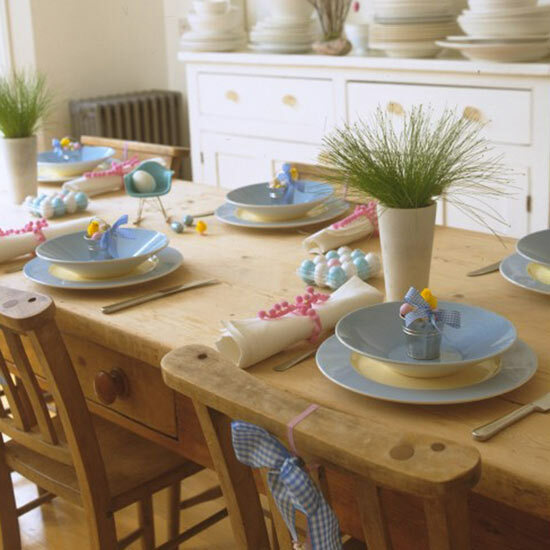 The whole idea of an easter afternoon tea got me in a creative mood, and I had a look at some of my favourite spring tables set ups. This gorgeous vintage set up goes perfectly with calm, pastel ,easter shades. This table has been set up as a side table which allows guests to view the display without making the main table look overcrowded. The essence of spring is really captured in this table design, with green elements against a crisp white backdrop. 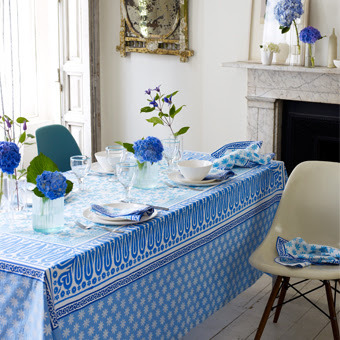 Another of my favourite blue designs, this time using hydrangea's to bring the element of spring into the dining room. This I just thought was a really cute idea. 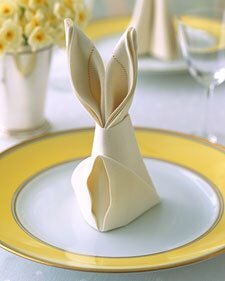 The napkin has been folded to look like bunny rabbit ears, and I'll definitely be using this in my table set up! This idea is fantastically original. 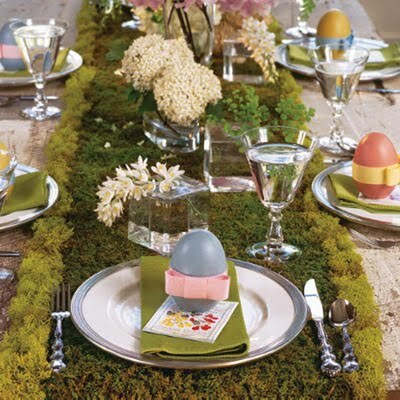 The moss acts as a runner down the centre of the table, making a fun table display. 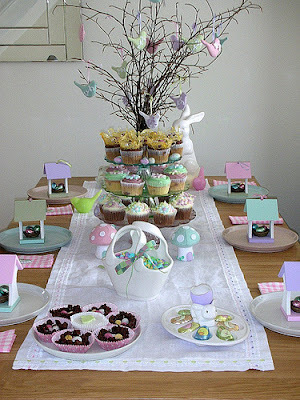 This would be great for a children's easter party. And again those pastel colours, perfectly complimenting the oak farm table. This design works well because of the simple layout. I hope you've enjoyed these images, and now have lots of inspiration for your own easter afternoon tea!